Renewal, eco-conscious, four worlds, North America, green ḥevra, The Shalom Center, 21st century C.E., 58th century A.M. In the Land of Israel, in the midst of winter the life-juice begins to rise again in many trees, and a few begin to blossom. So Jews everywhere celebrate the ReBirthing of trees and of the Divine Tree of Life on the Fifteenth Day (Full Moon) of the Jewish midwinter lunar month of Shvat, in a festival called Tu BiShvat or Yah BiShvat. In 2014, the secular new year we have just begun, this New Year of the Trees upon the Full Moon of Shvat falls in the Western calendar on the evening of January 15. Kabbalists in the town of Safed in the 16th century of the Common Era focused the sacred energy of the day on a sacred meal of fruit and nuts that do not require the killing of any creature, not even a carrot or radish yanked up by its root from the earth. The Seder that emerged is the meal of the Garden of Eden. This version of the Haggadah for Tu BiShvat has been greatly adapted by Rabbi Arthur Waskow of The Shalom Center from a Haggadah shaped by Ellen Bernstein, as published in Trees, Earth, and Torah: A Tu B’Shvat Anthology (Jewish Publication Society, 1999, ed. by Elon, Hyman, & Waskow). Bernstein wrote introductory remarks to sections of that Haggadah, many of which have been included or adapted for this one. They are indicated in the text by the initials “EB.”Ellen Bernstein created “The Tree’s Birthday,” the first Tu BiShvat Haggadah widely used in the US, and founded the first Jewish organization focused entirely on protection of the Earth, Shomrei Adamah, in 1988. For her continuing work, see http://www.ellenbernstein.org. This Tu BiShvat haggadah focuses on healing the wounded Earth today, with passages on major policy questions facing the human race in the midst of a great climate crisis and massive extinctions of species. In each of the Four Worlds in this Haggadah (Earth, Water, Air, Fire) there are traditional, mystical, and poetical passages, and in each there are also contemporary passages on aspects of public policy (Earth: food and forest; Water: fracking; Air: climate; Fire: alternative and renewable energy sources.) These policy-oriented passages help make this a distinctive Haggadah. After these passages, this Haggadah encourages Seder participants to take time for discussion. They may also decide to omit some passages and/or add others. The desire for such a Haggadah grew from discussions of the Green Hevra, a network of Jewish environmental organizations. Thanks to Judith Belasco, Rabbi Mordechai Liebling, Sybil Sanchez, Rabbi David Seidenberg, Richard Schwartz, Rabbi David Shneyer, and Yoni Stadlin for comments on an earlier draft of this Haggadah. With especially deep thanks to Ellen Bernstein and the Green Hevra, I note that neither bears responsibility for this version. Please feel free to use this Haggadah in your own celebration, and to share this Shalom Report with others who might be moved by its fusion of spiritual ceremony, poetic insight, and activist energy for profound social change. To support The Shalom Center in creating such work, please click here. The PDF edition of this manuscript was laid out with the assistance of Aharon Varady. 1. Ellen Bernstein created “The Tree’s Birthday,” the first Tu BiShvat Haggadah widely used in the US, and founded the first Jewish organization focused entirely on protection of the Earth, Shomrei Adamah, in 1988. For her continuing work, see http://www.ellenbernstein.org. 2. Rabbi Arthur Waskow founded (1983) and directs The Shalom Center. 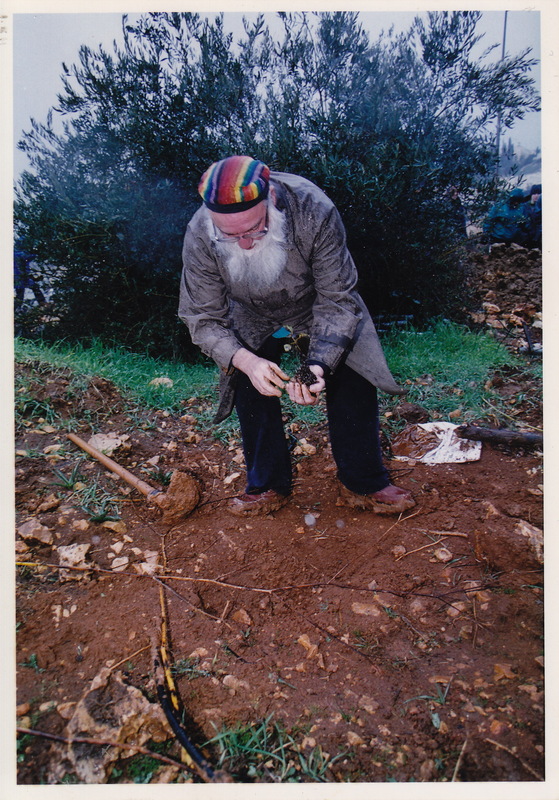 He wrote Seasons of Our Joy (1980), the first English-language book on the Jewish festivals to treat them all as rooted in the cycles of Earth, Sun, and Moon, and the first to treat Tu BiShvat as an integral part of the holy-day cycle. 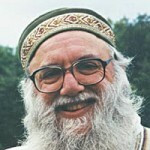 He pioneered in the shaping of Eco-Judaism, both through his books (Seasons of Our Joy; Godwrestling – Round 2; Down-to-Earth Judaism; editor, Torah of the Earth (2 vols); co-editor, Trees, Earth, & Torah: A Tu B’Shvat Anthology); and through The Shalom Center’s religiously rooted social action (e.g. the 1996 Tu BiShvat Seder to protect the redwood forest, the 1998 Hoshana Rabbah celebration to protect the Hudson River); as a member of the Coordinating Committee of IMAC (Interfaith Moral Action on Climate); and as a member of the Stewardship Committee of the Green Hevra. “סֵדֶר ט״וּ בִּשְׁבָט | A Tu BiShvat Seder to Heal the Wounded Earth, by Rabbi Arthur Waskow (The Shalom Center)” is shared by Arthur Waskow with a Creative Commons Attribution-ShareAlike 4.0 International copyleft license.